Is Apple now competing in the Pricing arena? What does that even mean? 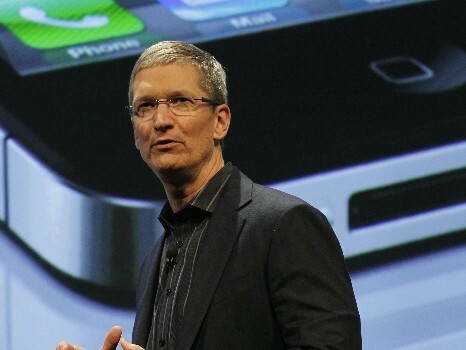 Here’s my rant, and why Tim Cook is now in my crosshairs. I love Apple. I started using Apple products in the late nineties in my graphic design classes in high school. They were big, beige and beautiful. And they cost way too much money. If you don’t get it, that’s fine, that’s the beauty of our great nation – freedom. But to say that a product is for only the rich based on it’s price in comparison to “similar” products is going too far, Tim Cook. I recently bought the latest and greatest iMac (27″ Core i7). It’s gorgeous; the solid aluminum body on that little stand. That big display enhanced by the beautiful Mac OSX… what’s not to love? The only thing that dwarf’s the beauty of Apple products is the synergy that comes with the entire ecosystem that is Apple. If you happen to have a Mac, an iPad and an iPhone, you know what I mean. No one does product-synergy like Apple. But you pay for this brilliance. Nothing is free, my friends. Nothing. When Tim Cook made the announcement that they were going to start selling the iPhone at a cheaper price in order to compete in a saturated market, I about lost it. I was overcome with rage. Apple has one thing going for them, quality. They can’t compete in the price arena, Microsoft and Google win there. They can’t compete in the compatibility with other stuffs either, Microsoft and Google win again. They lower their price, they lower their quality. Here’s why. In order for them to make a cheaper iPhone, someone’s going to have to take a pay cut. Are the materials suddently cheaper? Is the labor to make the phones somehow cheaper? So if no one’s willing to take a pay cut, and the same materials and manufacturing processes aren’t changing, then that leaves only one thing that can be squashed. Quality! In order to make cheaper products, you need to use cheaper materials and cheaper manufacturing processes. So, our next iProduct might turn out to be just another Android device or Nokia device that “works.” But nothing more. I’m not happy boys and girls. I’m still an Apple fan, but I’m keeping an eye on Tim Cook. One more thing, Tim. You don’t see Lexus or Mercedes lowering their prices to keep up with the Fords and Chevy’s do you? Wanna know why, they understand their audience. They know that there are people out there that have decided they want quality over price. And are willing to pony up the extra cash to get there. I like that I have an option for my electronics. If I don’t mind the quality of hardware and software of my devices, I can go to Microsoft and Google products; but if I don’t care about saving a buck and have decided that quality is what I’m after, it’s Apple all the way. Don’t forget your audience, Apple. You do something very special that others can’t even come close to and that’s quality and synergy of products. Don’t forget who’s paying your bills. Tim Cook, I hope for all Apple fans out there, I am wrong and you pull a rabit out of your hat. I haven’t given up on you, but I am watching your next moves very carefully. Seemed just yesterday I was sitting in my graphic design class working on a big, beautiful and beige Apple PowerMac. 16-bit color monitor, built in. 8mb of RAM, expandable to 32. 2gb hard drive, parallel. And the sweet, sweet sound of that famous Macintosh chime when you clicked that little button on your keyboard to awaken this piece of art. Yes, my friends, I am a fan boy. What can I say.